Trick-or-Treating will be Sunday, October 30, 2016 from 6-8PM. Continental Paving, Inc. will be working on Rollins Road/ Silver Street for 1.8 miles beginning at Goodwin Road easterly to the intersection of Main Street. The work will begin on 9/28 and continue until completion. Continental Paving, Inc. will be working on Main Street/Front Street for 1.0 miles starting at the intersection of Silver Street, easterly to the State Line. The work will begin on 9/28 and continue until completion. Click here to view to official notice and for additional information. The Rollinsford Planning Board will hold a PUBLIC HEARING on Tuesday, October 4th, 2016 at 7:00PM at the Rollinsford Town Hall to take Public Comment on a Subdivision Application submitted by Arthur Gagnon dba Diversified Builders of 188 Blackwater Road in Somersworth, NH. The application is for a submitted plan to subdivide Tap Map 1, Lot 43-1 into five (5) lots containing eight (8) units. As proposed, an existing structure will remain on Tax Map 1, Lot 43-1 and new lots Tax Map 1, Lots 43-2, 43-3, 43-4, 43-5 will be created. 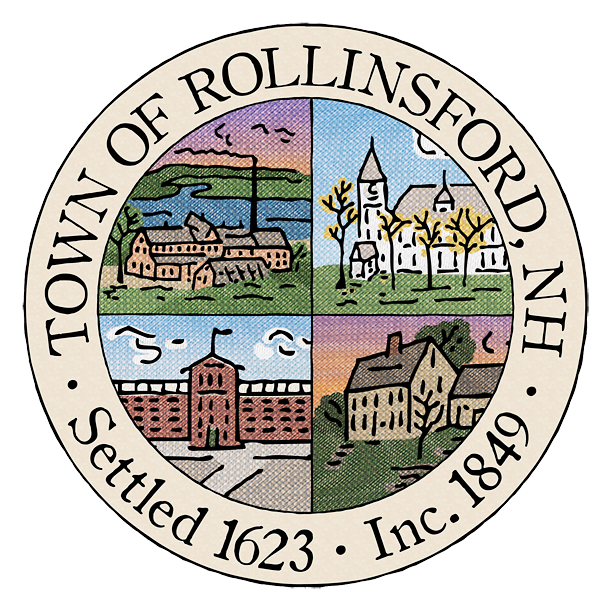 Copies of the proposed plans are available for review at the Rollinsford Town Offices. The Select Board will be meeting on the following dates in order to work on the 2017 budget. The Select Board and Road Agent Jeff St. Jean have been working with the Strafford Regional Planning Commission to pilot the Road Surface Management Systems (RSMS) developed by UNH’s Technology Transfer Center. A ten-year road plan (draft) was reviewed by the board and we are now ready to share this draft with the public. The Select Board will host a public information session on the road plan on October 27, 6:30 pm in town hall. The plan is available on the town website. The Select Board met on Tuesday, September 20 to review the state’s guidance on the drought conditions in the state of NH. The guidance came to us via a phone conference call on Friday, September 16 with the state’s Drought Management Team. The Board voted to institute a ban on water usage in the town per RSA 41:11-d. This ban covers residential usage and pertains to residents with private wells as well as residents on the town’s public water system. The ban covers the watering of residential lawns and will become active on Tuesday, September 27. We encourage residents to read the entire ordinance and to pay close attention to the fines. Additionally, we are providing resources that you can refer to for more information on the drought situation in the state. The situation is a serious one. We will enforce the ban of required restrictions We also encourage residents to look for voluntary ways to conserve this most precious of natural resources by avoiding the following: washing vehicles, hosing off paved surfaces, filling swimming pools, power-washing houses. We have created an informational page about the drought for residents. Please refer to it for important information for homeowners with private wells, information on the severity of the drought, and links to resources such as emergency financial assistance to help mitigate water issues. Willey Street will be closed to through traffic on Tuesday morning 7am-noon for culvert maintenance. This is a highly traveled road for RGS school traffic. Please seek an alternate route.